The ChemGrout CG-550 Rugged series includes both skid and trailer mounted grout plants. 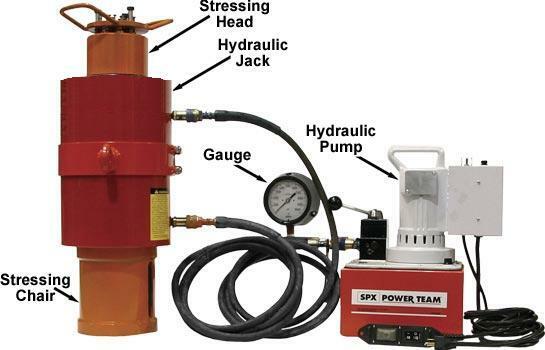 These units feature a 45-gallon (170 liters) mixing tank, a large 30-gallon (113 liters) holding hopper and the popular single-acting 3" piston grout pump. Each mixing tank is equipped with baffles, bag breakers and a variable speed high-efficiency paddle mixer that provides rapid grout mixing. 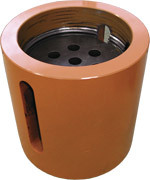 The tank outlet is large slide gate that allows viscous grouting materials to flow quickly into the removable holding hopper. The large holding hopper is sized to provide continuous pumping, the mixer is charged while the hopper feeds the pump. The grout pump is a 3" positive displacement, pulsating piston pump that disassembles with only a hammer for fast and thorough cleaning. The rugged steel frame stands up to the toughest conditions on the job site. Operator controls are centrally located for efficient production. The trailer mounted unit is road and job site ready equipped with leaf springs, lights and a working platform. The stressing Chair utilizes a threaded keeper plate to adjust to an applicable distance for 2-part and 3-part wedge sets. The stressing chair assembly can be used for proof testing of the strand anchor assembly, incremental lock-off loading, or typical installation loading. The stressing head applies a temporary stressing force to the tendon and maintains the load until the lock-off load is transferred to the anchor head. The stressing head assembly should be used in all applications to insure uniform strand tension. Anti-seize compound is available to assist stressing head release. 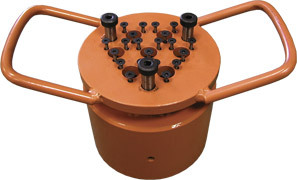 The S10 Stressing Jack stresses all wire sizes from 4mm to 7mm, 8mm and 9.5mm strand. The jack is available in Mini, Standard and Long Stroke. 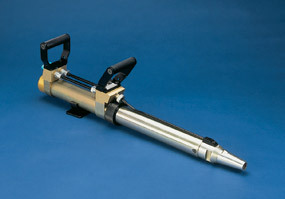 The S16 Stressing Jack stresses strand from 9.5mm to 15.7mm. 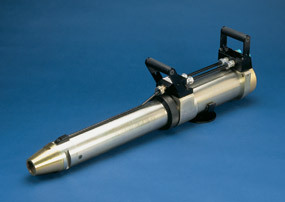 The jack is available on Standard, Long or Super stroke.